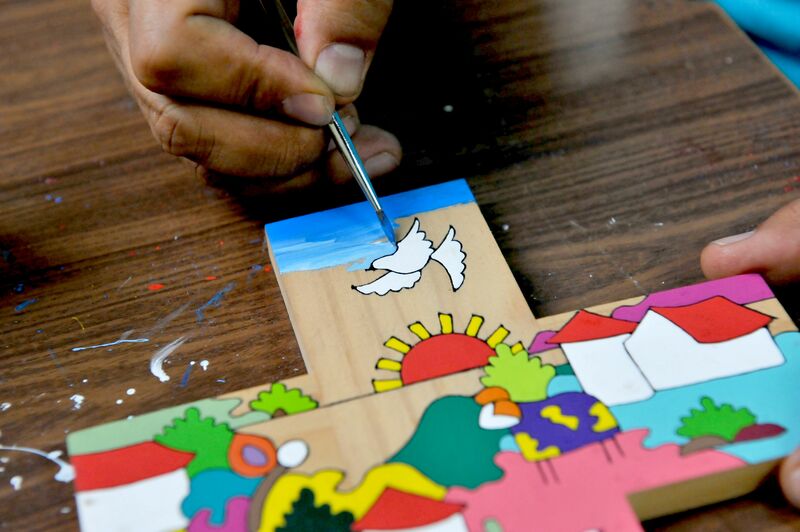 (LWI) – There is a white dove on almost every cross that Christian Chavarria Ayala paints. 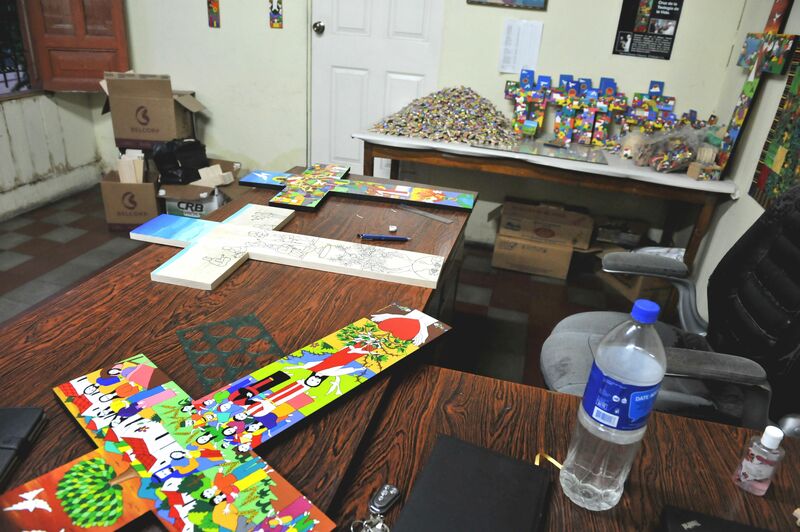 The artist sits in his studio on the upper floor of the La Résurrection Lutheran congregation in San Salvador and dips a paintbrush into blue paint for the sky on a small wooden cross. 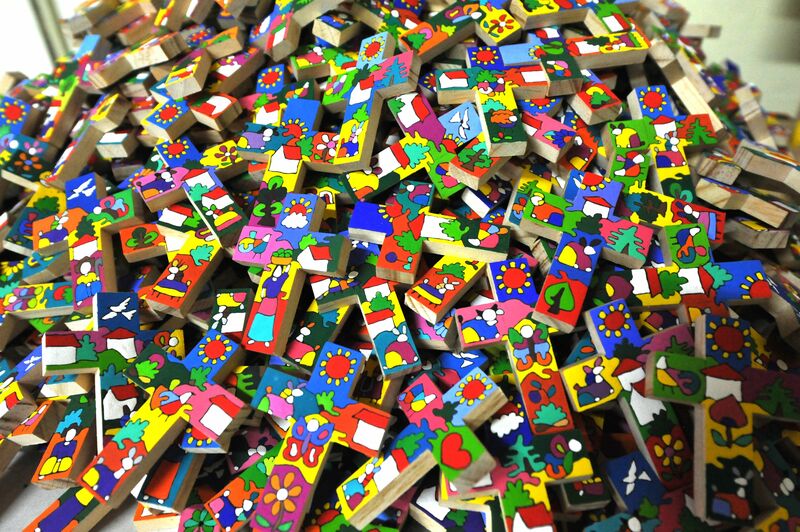 Piles of more or less finished works in all sizes are stacked around him, some only a few centimeters in size, the biggest half a meter tall. All of them have been painted by hand. What keeps him occupied these days however cannot be seen in his workshop: Christian Chavarria Ayala is painting the cross for the common prayer service of the Joint Ecumenical Commemoration on 31 October 2016 in Lund and Malmö, Sweden. When Lutherans and Catholics together with ecumenical guests meet to commemorate the Reformation anniversary, the cross will bring a message of hope from one of the most conflicted countries in the world today. It was a great honor when LWF asked me to paint crosses for them. I never thought my art would be so appreciated in the world. I thank God for that gift, because I can support my family, but also because it helps me to deal with my own trauma from the civil war." His art conveys some of that experience. 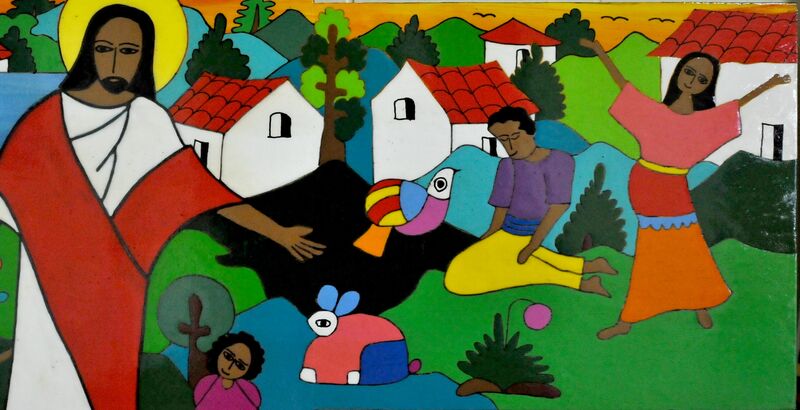 Happy, carefree people, colorful animals, the sun. “I don’t use black or grey, I like bright colors,” he says. “I also never make the same cross twice. Each is unique”. 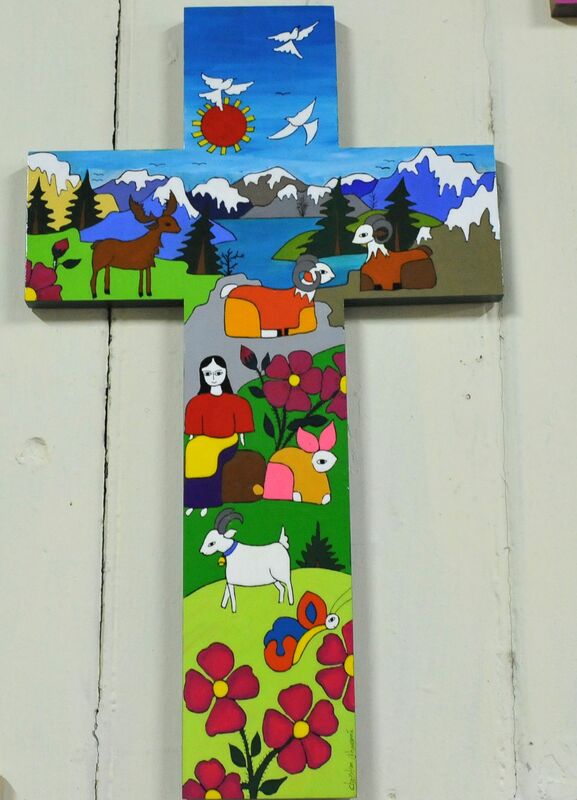 Chavarria’s career as an artist started when he gave one of the crosses he had painted to a Finnish pastor. Shortly afterwards the Church of Finland ordered 1,000 pieces. “I worked day and night”, he recalls. 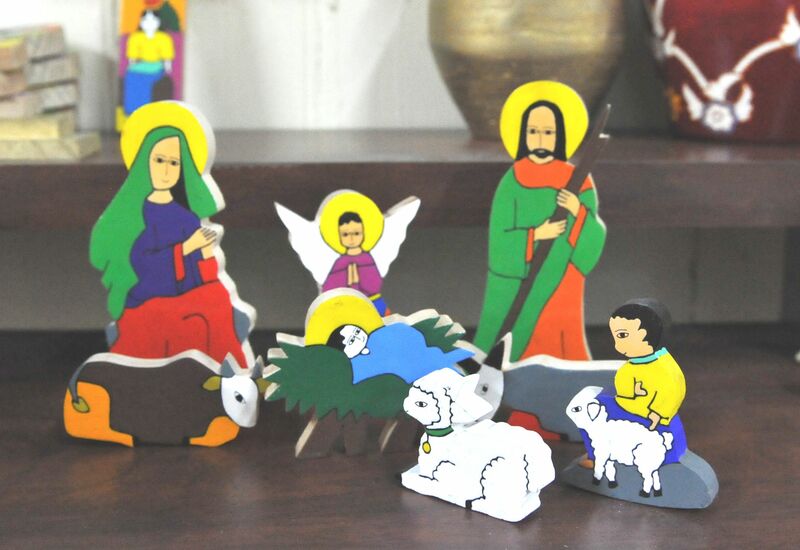 “Only weeks after they were delivered, they called again and said: All the crosses have been sold out, can you do another 2,000?” There is still an undertone of disbelief when he tells that story. 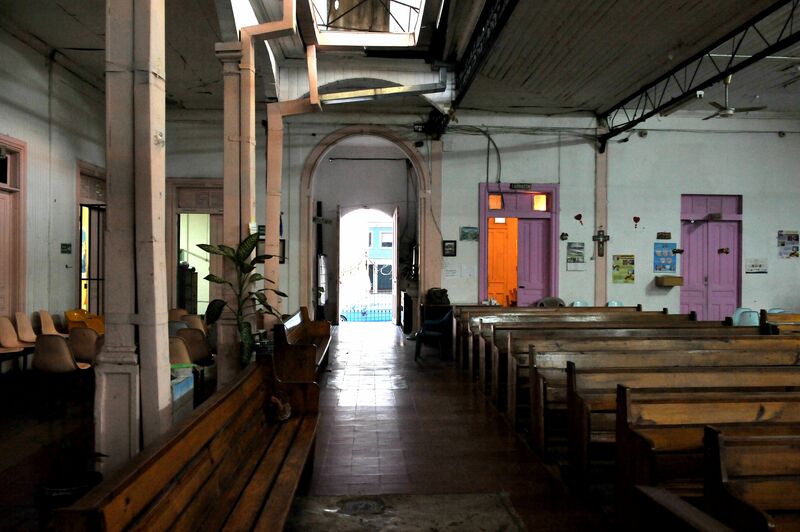 Today, he has a small workshop on the upper floor of La Resurrection, the Lutheran congregation in San Salvador he helps rebuild. 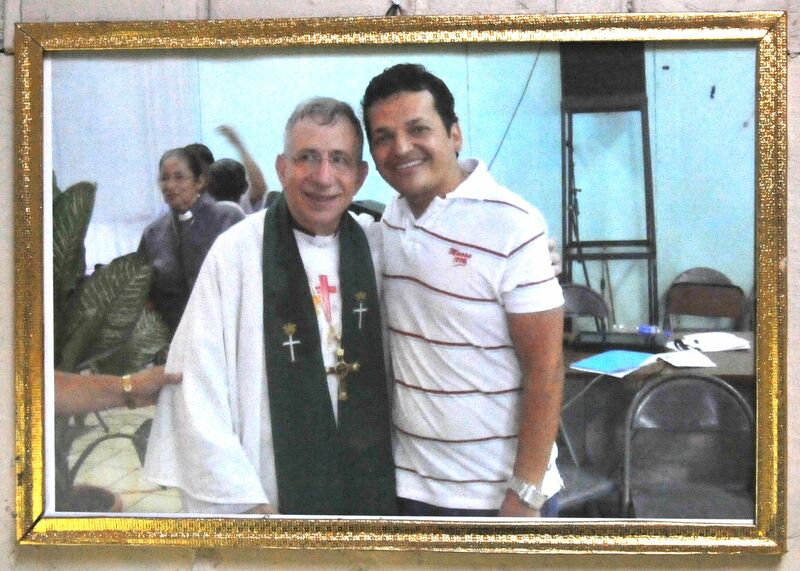 On Sundays he plays the piano in the church service, on weekdays he employs seven people with his art, who support their families with that work. Chavarria himself still does the designs, drawing the pictures and coming up with the ideas. He estimates that he has made more than 130,000 crosses which travelled to 109 countries. His crosses hang in the offices of bishops, politicians and (former) presidents, they have travelled to North America, Europe, the Middle East, Africa, Asia and the Vatican. LWF president Bishop Munib A. Younan presented Pope Francis with one of the Salvadorian crosses at an audience in 2013. In El Salvador, running a successful business easily makes you a target for violence and extortion. Street gangs and drug trade have replaced the violence of the civil war. It is dangerous to move in certain parts of town, to walk the streets at night, to be seen having money. People are shot for as much as a necklace or a mobile phone.